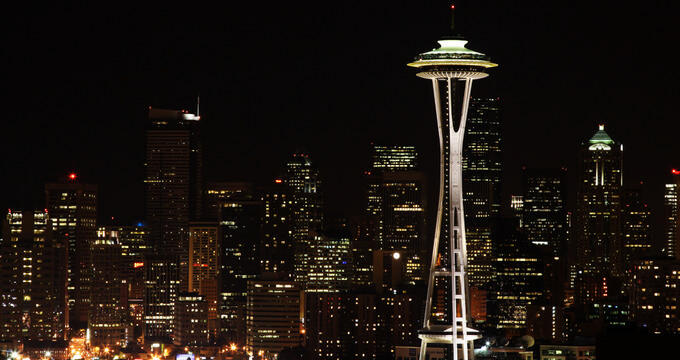 The Pacific Northwest’s largest metropolitan area is known throughout the world as one of the top spots for rock and independent music, launching the careers of major artists such as Nirvana, Pearl Jam, and Soundgarden throughout the 1990s. Today, the Seattle nightlife scene caters to diverse audiences, from legendary jazz supper clubs to hip underground performance art and rave venues. A wide variety of cocktail and craft beer bars have sprung up throughout Seattle over the past decade, serving microbrews, wines, and spirits crafted by local independent companies throughout the region. Aston Manor is a 1920s-themed club that offers Seattle’s most happening weekly party, housed within the former mansion of famed Seattle socialite and bootlegging heir Roy Aston. Aston’s mansion was home to a Prohibition-era speakeasy, which is now home to the Maison Tavern restaurant, serving market-fresh fare and a selection of craft beer, wine, and custom cocktails. In the nightclub, multiple bars serve upscale clubgoers, with both traditional restaurant seating and VIP lounge seating available. Unique performances abound, from sets by top national DJs and musicians to performances by acrobats, ice sculptors, and fire breathers. © Bathtub Gin and Co.
Bathtub Gin and Co. is located in the former basement-level boiler room of Belltown’s Humphrey Apartments, renovated into a 1920s-era speakeasy in 2009. The bar’s name is a reference to a popular process of creating gin during Prohibition, which added ingredients such as juniper berries to denatured alcohol to improve liquor quality. 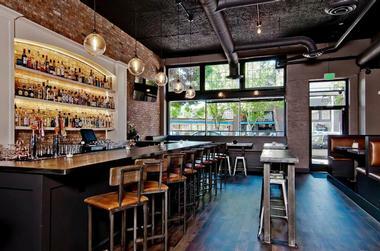 It is accessible via an alleyway entrance, adding to the Prohibition-era feel. The multi-level lounge and bar serves a wide variety of local and international liquors from its six-seat bar on its upper level, including gin produced in Seattle and the Pacific Northwest used to craft creative and classic cocktails. Downstairs, a lounge area offers comfortable couches and tables for relaxation, including a library-themed area. 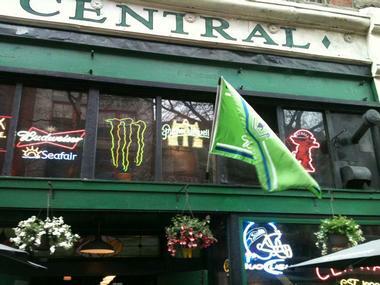 Central Saloon has been a Seattle institution since 1892 and remains the city’s oldest bar today, having survived Prohibition and multiple earthquakes throughout the 20th century. The bar is owned by Guy Curtis and Eric Manegold today and has hosted diverse crowds throughout its history, from Yukon miners during the 19th century to early crowds for performances by legendary bands such as Nirvana and Soundgarden. A wide variety of classic pub fare is served daily, including craft burgers, wrap sandwiches, and shareable bar appetizers. 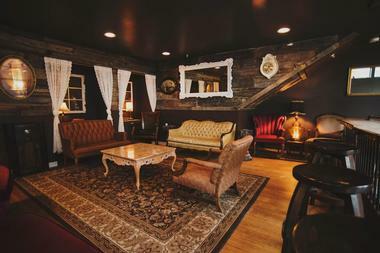 Extensive wine, beer, and spirits menus are also served from behind the saloon’s vintage mahogany bar. 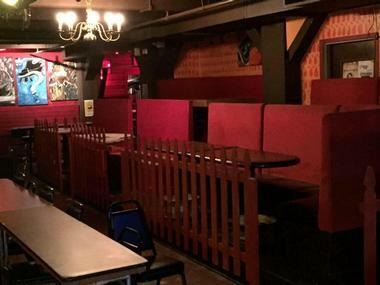 Cha Cha Lounge was originally opened in 1998 as a companion lounge to the popular Bimbo’s Bitchin’ Burrito Kitchen in Capitol Hill. Today, it has become one of the city’s hippest hangouts for artists and diverse populations and is a space for frequent celebrity and musician sightings. Upstairs, Bimbo’s serves a variety of Mexican-inspired small plates, while downstairs, the tiki-themed lounge is dressed in decor elements such as Mexican wrestling masks and black velvet art pieces. Margaritas, tequilas, and craft beer are available at the lounge’s bar, which offers some of the city’s best happy hour specials. Guest DJ sets spin hip underground tunes, while performances by top rock and independent musicians draw crowds. Club Contour is one of Seattle’s premiere cocktail lounges and dance clubs, a longtime anchor of the Pioneer Square neighborhood’s nightlife scene. A wide variety of bar bites and pub plates are served at the club’s happy hour until 10:00pm, including panini sandwiches, fish tacos, chicken wings, and vegetarian quesadillas. After happy hour, the lounge transforms into a nightclub offering high-energy DJ sets and a lively dance floor. Outdoor seating is also offered seasonally, along with a full bar serving drinks late into the night. 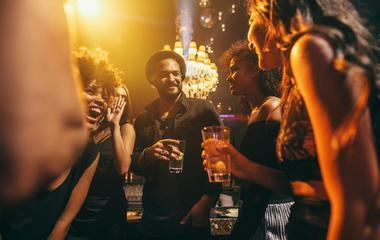 The 21-and-up establishment may also be rented for private special events, including performances by local musicians and DJs. 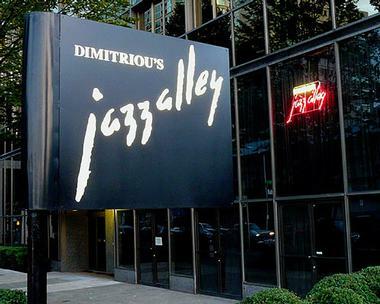 Dimitriou's Jazz Alley is a multi-level jazz club that has been a Seattle institution for more than 30 years. The seated supper club is an all-ages establishment, with the exception of bar seating areas and some acts that may contain content not appropriate for children. 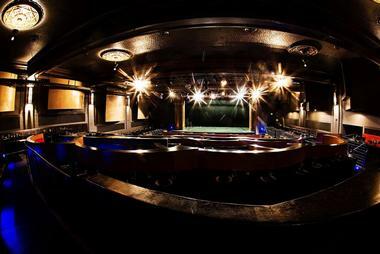 All tables at the club offer exceptional sight lines of the venue’s stage, which welcomes national touring acts and performances by up-and-coming local musicians. A wide menu of innovative Pacific Northwest cuisine is served, with vegetarian and gluten-free options available. Tickets are available for shows without dining, though dining options without attending shows are not offered. Highway 99 Blues Club is a downtown bar located in a renovated brick building constructed in 1909. The club is designed to evoke the character of historic juke joints in the American South, showcasing the professional blues photography of artists such as Phil Chesnut and Jef Jaisun alongside rustic decor elements such as reclaimed blue velvet benches and a custom-made bar constructed from antique doors. A Cajun-influenced menu is served daily, meant to pay homage to the eclectic Southern hospitality that led to the shaping of American music styles such as blues and jazz. The club’s state-of-the-art sound system provides a spectacular showcase for top national and international touring acts, along with up-and-coming regional artists. Kremwerk opened its original nightclub facility in 2004 in the heart of Seattle’s downtown. Since then, the club’s complex has expanded to encompass its sister Timber Room nightclub and the Little Maria’s pizza parlor and bar and has become one of the top LGBT-centric nightlife spots in Seattle. The complex’s basement-level namesake club is known for its progressive electronic music and dance scene, housed within an industrial-style bunker room. Above ground, the Timbre Room cultivates a Pacific Northwest aesthetic with lush foliage on its walls and natural light from skylights. Many live music concerts, performance art events, and dance parties span the entire complex, creating a festival atmosphere and allowing partygoers to roam between all three spaces freely throughout the night. 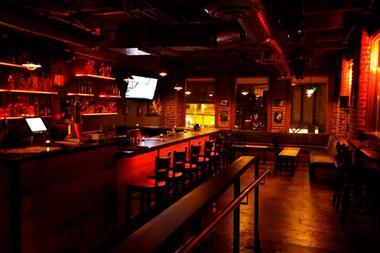 Little Red Hen is Seattle’s premiere honky-tonk bar, located in the city’s upscale Green Lake neighborhood. Its menu, originally developed by late chef Erwin Diaz, highlights creative pub fare, with separate menus offered for nights presenting live music performances. Drinks available include draft microbrews and bottled beers, well drinks, and cocktails. Regional and national country music artists are showcased most nights, and country music dancing events are hosted six nights a week at the bar. On Monday nights, free line dancing courses are offered, and on Wednesdays, karaoke events are held. Sundays also bring open mic acoustic nights to the bar, hosted by local figure Billy Bodacious. 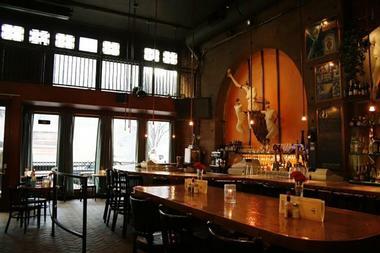 Oliver's Lounge is a Seattle classic, operating for more than 45 years out of the historic Mayflower Park Hotel. 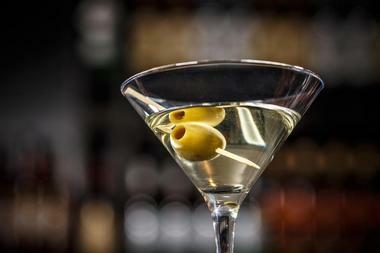 The cocktail lounge is internationally renowned for its craft martinis, having been the recipient of industry titles such as Best International Classic Martini and hosting the annual International Martini Classic Challenge tournament. Its floor-to-ceiling glass windows are known as a prime spot for people-watching, especially during the winter months when the city is bustling with holiday fervor. Classic American fare such as club sandwiches and chicken caesar salad are served, with complimentary appetizers offered during the bar’s daily happy hour. An expansive cocktail list highlights both traditional and creative modern favorites. Q Nightclub is an eclectic, theatrical nightclub located in Seattle’s Capitol Hill neighborhood, housed within a historic 1912 auto garage. It showcases unique design elements such as a long, cavernous entry tunnel that obscures its main dance floor area and a visual projection wall used in conjunction with a state-of-the-art lighting system. Cocktails flow from the club’s main bar, located next to a Bourbon Room VIP section offering bottle service and panoramic views of its dance floor. Mobile mixologists also craft custom drinks throughout the bar for patrons. Guest sets by internationally-renowned DJs are presented periodically, along with performances by local musicians. Rabbit Hole is a casual, retro club and lounge located within Seattle’s Belltown neighborhood, offering top happy hour deals on cocktails, shots, and tallboys. Clever decor creates a dark, rustic environment, with design elements such as black-and-white cowboy photos and vintage newspaper clippings lining the walls. Inventive pub fare includes flavorful, messy favorites such as Sriracha burgers, bacon-wrapped jalapeno poppers, and deconstructed gumbo, with bar bites such as housemade hush puppies also available. An extensive whiskey menu is offered, along with classic cocktails such as bourbon Old Fashioneds. Skee-ball games offer opportunities for after-dinner entertainment, with game tournaments held weekly. Re-bar is a popular LGBT and hipster dive bar that embraces the city’s diverse, creative spirit, serving as the unofficial anchor of the city’s counterculture and arts scene. The bar was originally opened in 1990 and remains one of its top spot for independent theater, including fringe and underground shows. Monthly art showcases highlight the city’s top visual arts voices and up-and-coming talents, and live music performances serve as a popular launch pad for artists within the city’s renowned independent music scene. 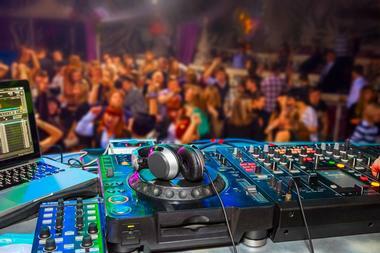 Eclectic DJ sets keep the bar’s dance floor lively on the weekends, highlighting everything from funk to indie rock. Sea Monster Lounge is a popular live music spot in Seattle’s Wallingford neighborhood, offering performances by local musicians six nights a week. 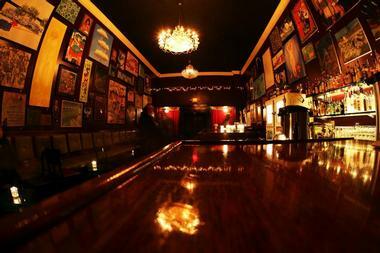 The bar is renowned as being run by musicians and for musicians, with a focus on the area’s top jazz artists. Its kitchen serves homemade cuisine using the best fresh and local ingredients, including organic burgers and chicken entrees. A full bar serves 10 taps of top Pacific Northwest craft beers, with non-alcoholic options such as craft ginger beer also available. Jazz brunches are also offered on Saturday and Sunday mornings, along with dinner-and-a-show special menus served on Saturday evenings. The Crocodile is an acclaimed live music venue that is recognized among the city’s top spots for rock and independent music, presenting performances by top regional and national acts since 1991. Throughout the years, the beloved lounge has hosted music luminaries such as Nirvana, Pearl Jam, R.E.M., Yoko Ono, and the Beastie Boys. Though it briefly closed in 2007, it was reimagined and reopened in March of 2009 and continues to serve as one of the nation’s most renowned music venues. The venue’s Back Bar serves as a favorite neighborhood gathering spot, serving pizza and happy hour specials and hosting more intimate events, including DJ nights, karaoke events, and burlesque shows. The Forge Lounge is located within a 100-year old building overlooking the city’s historic viaduct and ferry terminal, serving as a popular lunch and dinner spot for ferry commuters and local tourists. The industrial-themed bar and lounge is committed to keeping its prices affordable for working-class diners, cultivating a warm, welcoming community gathering place environment. offers a menu of American fare emphasizing local and organic ingredients, including mezze platters, charcuterie boards, and craft sandwiches. An extensive drink menu serves up craft cocktails highlighting locally-produced spirits, along with a selection of Pacific Northwest microbrews. The Hideout was opened in 2005 by Jeff Scott and Greg Lundgren, who strived to create a unique, hip hangout appealing to local residents and area tourists alike. It is known for its craft cocktails, which utilize top-shelf liquors and hand-squeezed orange, lime, lemon, and grapefruit juices produced in house. Draft and bottled beer options highlight Pacific Northwest and international microbrews, with an extensive list of red, white, sparkling, and dessert wines also available for purchase by the glass. Bar snacks include mezze samplers, homemade macaroni and cheese, and seasonal desserts. Regular DJ sets and karaoke nights are presented, along with Discreet Theatre performances that integrate actors into the action and space of average bar patrons. 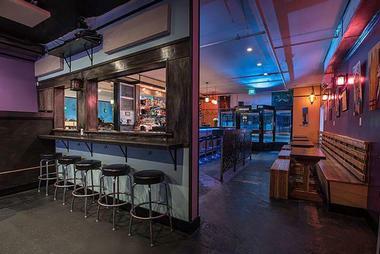 The NOOK is a two-story bar located in West Seattle’s North Admiral area, opened to the public in 2017 and already gaining a reputation as a local favorite. 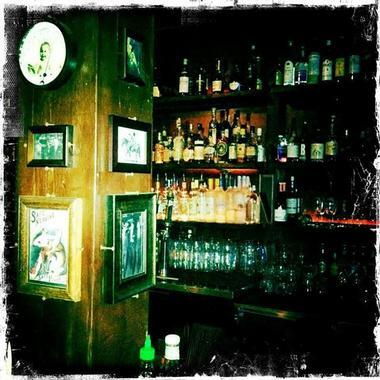 Its unique atmosphere is designed to evoke the early 20th century, with antique lighting creating a dim environment and rotary telephones and vintage radios decorating bar spaces. 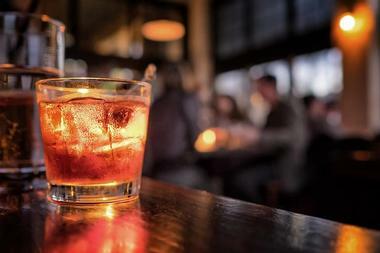 A large cocktail list highlights classic and inventive options crafted with house-made ingredients and locally-produced spirits, while a draft list highlights Pacific Northwest microbrews. Light bar bites include seasonally-changing snack trays, along with panini sandwiches crafted by nearby neighborhood favorite Freshy’s Coffee. 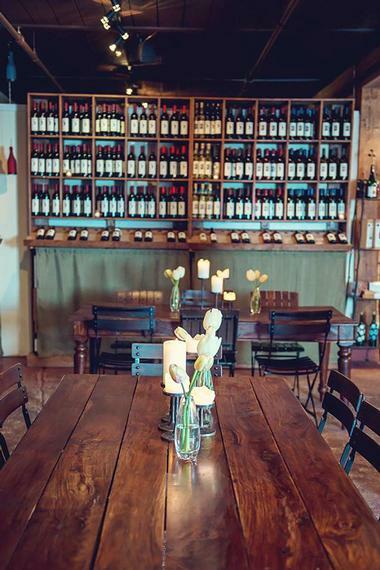 The Tasting Room is an Old World-style wine bar located within the historic Pike Place Market, offering tastings and pours by the glass and bottle seven days a week. The bar has been voted as the American West’s best tasting room by Sunset magazine and offers a showcase of the best viticultural selections of the Pacific Northwest. More than 60 wines by winemaker-owned vineyards are highlighted, including selections from local wineries such as Treveri Cellars, Lost River Winery, and Naches Heights Vineyard. Tasting flights are available for purchase, allowing visitors to sample four one-ounce pours, with tasting advice available from the bar’s knowledgeable staff. A European-style wine cave also sells rare and specialty bottles, including older vintages. 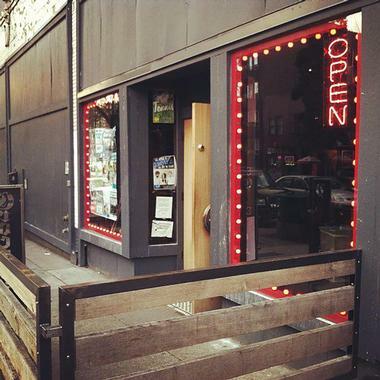 The Triple Door is one of Seattle’s most intimate live music lounges, housed within the historic Mann building, which formerly housed the Embassy Theatre vaudeville house, a 20th-century city institution. After a brief tenure as a burlesque house, the theater was closed in 1983 until its purchase by Rick and Ann Yoder in 1999. In 2002, the revamped venue opened to the public, presenting folk and indie rock concerts and emphasizing the connection between artist and audience. The venue is known today for its commitment to charitable fundraisers, hosting events raising money for organizations such as the Starlight Starbright Children’s Foundation. Food is served from the venue’s sister restaurant Wild Ginger, and intimate local artist shows are presented at the venue’s smaller MQ Stage and Lounge. 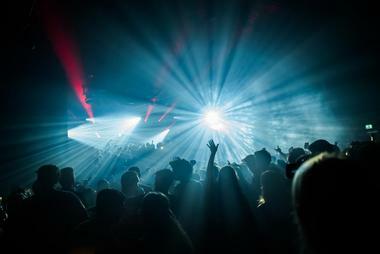 The Underground is Seattle’s top EDM club, located in the city’s historic Pioneer Square district and housed at a venue below street level. The intimate space hosts a maximum of 250 partygoers nightly and showcases the city’s top dance music artists and DJs and serving as a launch venue for up-and-coming artists. Ceiling-mounted LED lighting panels create a vibrant dance floor scene, and use of flow toys by patrons is encouraged, further cultivating the colorful rave atmosphere. The club eschews a pretentious dress code or exclusive VIP section seating in order to keep crowds as diverse as possible, creating a true community dance space that allows partygoers to be themselves and mix and mingle freely. 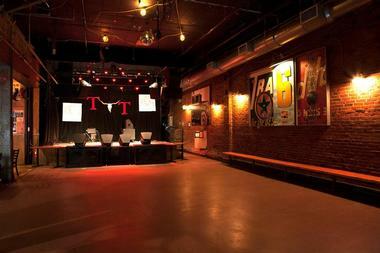 Tractor Tavern is owned and operated by Dan Cowan, the owner of the city’s country-roots Ballard concert venue. Though the tavern cultivates an Americana aesthetic with Western-themed decor, it showcases diverse music performances across genres, from rockabilly and bluegrass to reggae and hip-hop. 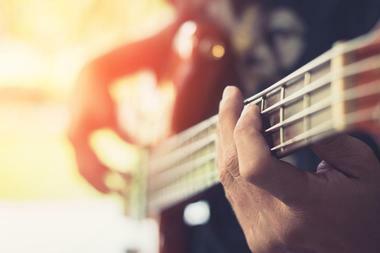 Regional and national artists are showcased, including up-and-coming local musicians. Performances include concerts sponsored by renowned local radio stations such as 100.7 The Wolf and nationally-recognized NPR affiliate KEXP, highlighting top artists such as Martha Wainwright, Jason Isbell, and Great Lake Swimmers. Unicorn and Narwhal are a pair of creatively carnival-themed bar in Seattle’s Capitol Hill neighborhood, showcasing whimsical decor such as salvaged panels from classic carousels and taxidermied animals. All of the Unicorn’s unique food plays off eccentric and outrageous state fair favorites, including deep-fried hamburgers, unicorn balls, and elephant ears. 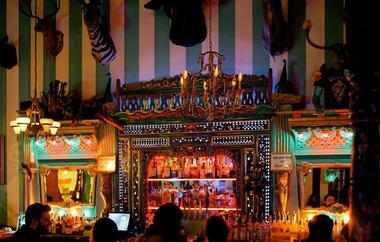 The underground bar Narwhal is best known as a filming site for Macklemore’s “Thrift Shop” music video, which featured shots of its pinball machines, video games, and resident bar claw machine. 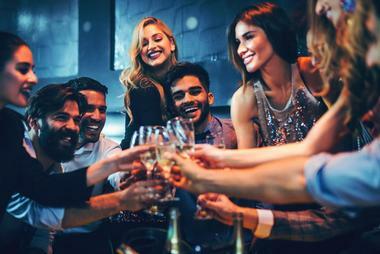 Both bars serve clever drink options playing off of classic favorites such as mimosas and host weekly events such as karaoke nights, trivia, and LGBT-themed events. Wakefield Bar is a popular Belltown hangout that showcases a menu by executive chef Thomas Dodd, known for his previous work at Capitol Hill bar Marjorie. The bar is housed within the former Heywood-Wakefield furniture company building and offers two large-screen televisions broadcasting major sporting events throughout the week. Food is designed to be enjoyed communally, with large plates offering shareable favorites such as sliders. House cocktails showcase international flair with choices such as the tequila-and-mezcal-blend Mexican Grand Prix, while taps highlight local beer and cider options. An extensive spirits list also showcases local favorites such as Westland single malt whiskeys. 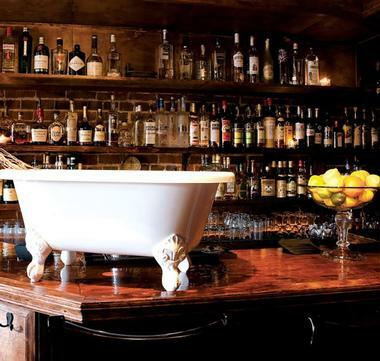 Bathtub Gin and Co., Photo: Bathtub Gin and Co.